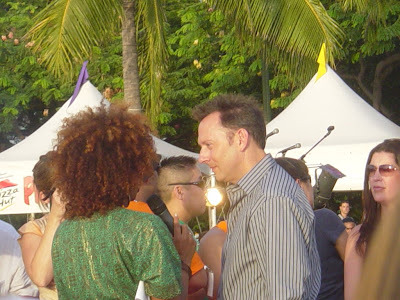 Michael Emerson (Ben) of Lost talks to a reporter at the Lost Season 3 Premiere. The new season of lost Premieres tonite. Desmond (Henry Ian Cusick) signs autographs at the 2007 World premiere of Lost. Also see the Global Hawaii Lost Page.